Wakanda forever! 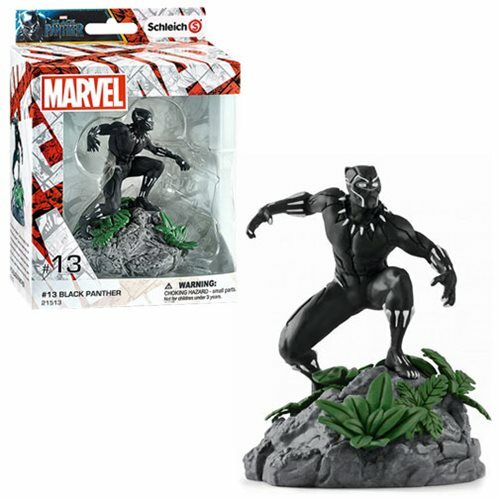 Packaged in a window box and hand painted, this marvelous Black Panther Diorama Collectible Figure #13 presents T'Challa, the king and protector of the nation of Wakanda. Inspired by the 2018 film, it measures approximately 7 3/10-inches tall x 5 1/2-inches wide x 3 3/10-inches long.